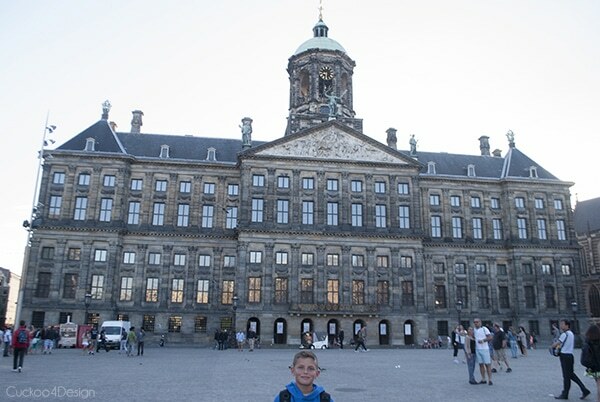 My son is finally ready to share his trip to Amsterdam with you. 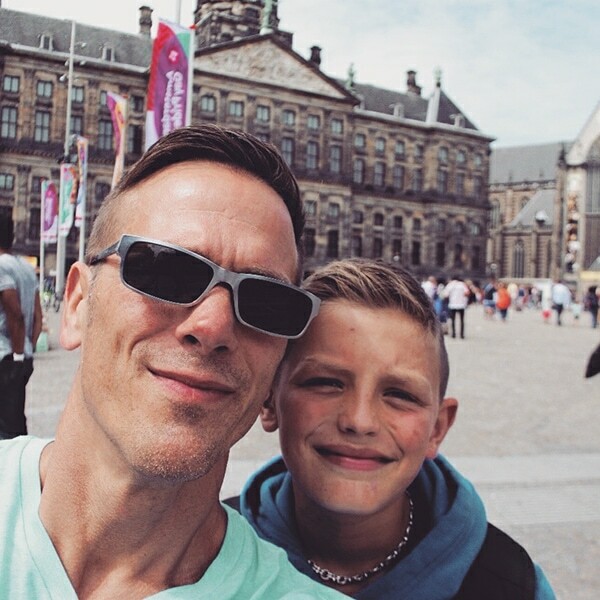 He loves picking different places to go to and this year Amsterdam was his choice. 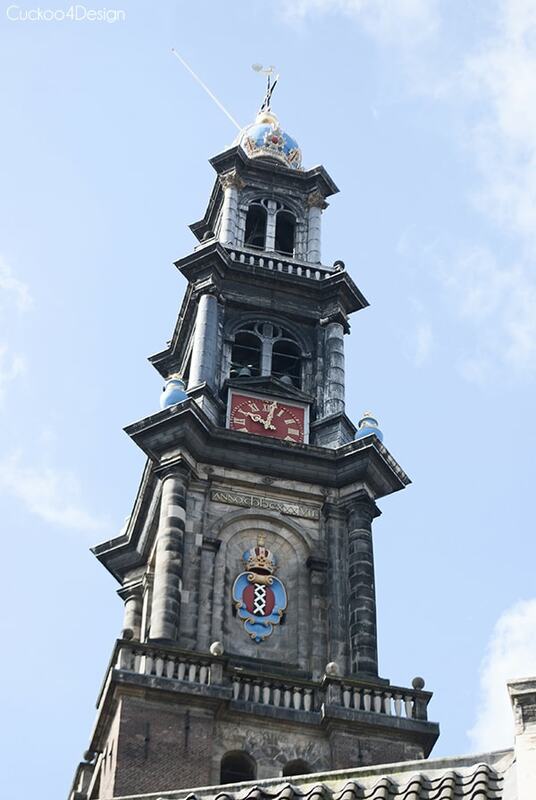 My father/his grandfather’s part of his family is from the Netherlands and my father remembers a lot of summers spent at his grandmother’s house in Bilthoven as a child where he also got to spend time in Rotterdam and Amsterdam. So it hits close to home for us. I know that Amsterdam usually raises a red flag for some people who think you only go there to party and visit coffee shops. It has gotten a bad reputation which is sad. 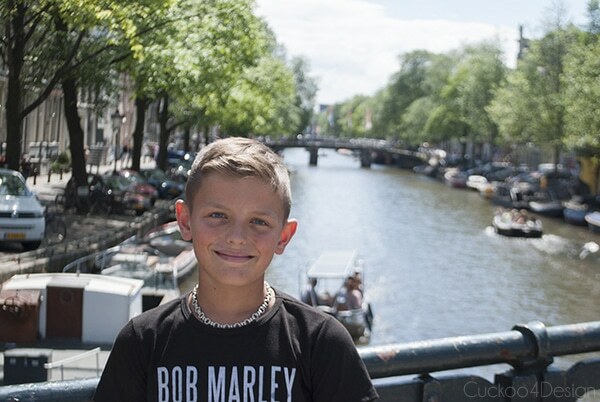 I also feel like mentioning that my son’s choice of t-shirt he is wearing in some of the photos has nothing to do with his choice of destination. The t-shirt actually belongs to me. I’m a huge Bob Marley fan and no I don’t smoke. I truly feel like I have to clarify this with everyone reading because I know people tend to judge. I’ve always loved Bob Marley’s music and it represents summertime for me. I listen to it all the time! Hello again people I’ve never met and who read my mom’s blog. It’s me again the son of the most cuckoo blogger on the internet webs. I took another 3 day trip in Europe with my dad the one with that mustache and awkward hair during his childhood (click HERE if you missed it). 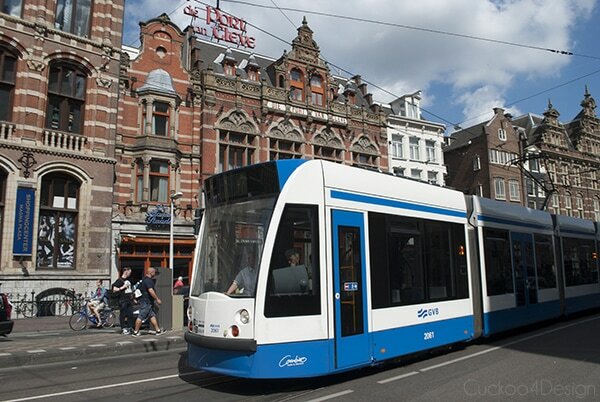 We went to Amsterdam which started with a six hour train ride from Lohr am Main which is my mom’s hometown. If you have read my previous travel posts (click HERE, HERE and HERE) you’ll know I love food!!! Well yes I do and Amsterdam has a mixture of all foods, Chinese, Italian, Dutch, Algerian, Indonesian, Argentinian, and so many others. Warning if you go to Amsterdam it is hard to find a Dutch restaurant! Seriously not kidding! It took my dad and I about 2 hours to find one. We ended up having to go back to our hotel to ask someone for a recommendation. 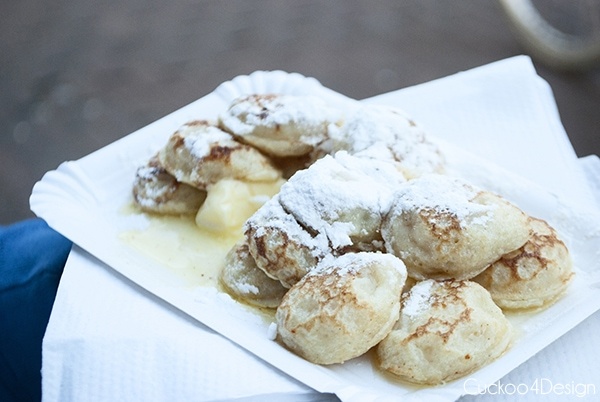 For dessert we had the mind blowing poffertjes. So so good, just look at the picture below. 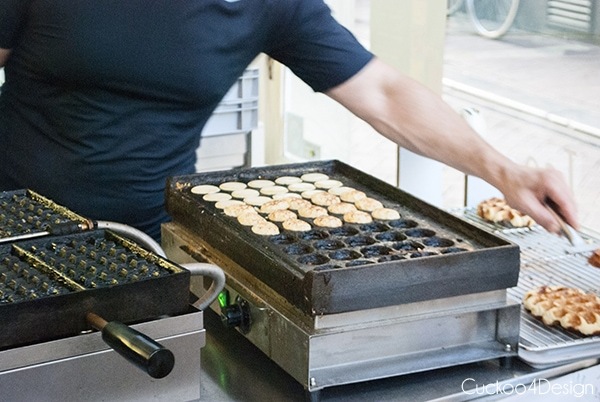 Next day we were walking around The Albert Cuypmarkt for lunch and we had the famous Amsterdam croquettes which is a fried breaded dough and inside is mashed potatoes (again). Wow! On the side we had some amazing fries, they were so crunchy and the best fries I ever had. Can you tell how incredibly healthy I’ve been eating? Then for dinner we ate Indonesian at Kantjil & Tiger (Indonesian food was recommended by my Opa). Our appetizer was Pangsit Goreng fried dumplings stuffed with prawns and chicken it’s served with ginger peanut sauce. We had a customized dinner, Bami Goreng (fried noodles also known as Mie goreng) and we ordered it with spicy beef, Indonesian pumpkin, corn, peas, with a peanut dressing. By the way eat Indonesian food if you go to Amsterdam and if you want to read why the Netherlands is so intwined with Indonesia, you can click HERE to read more. 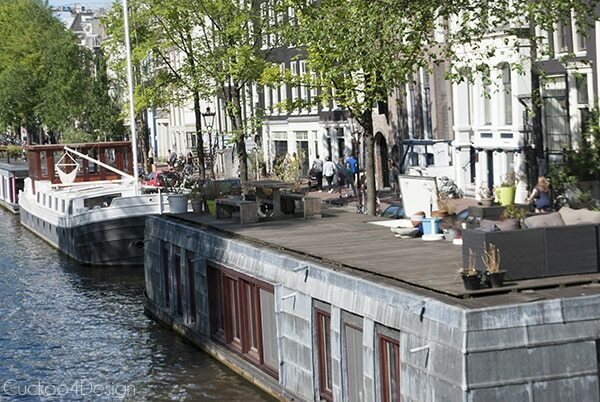 One of the coolest things in Amsterdam are the houseboats. 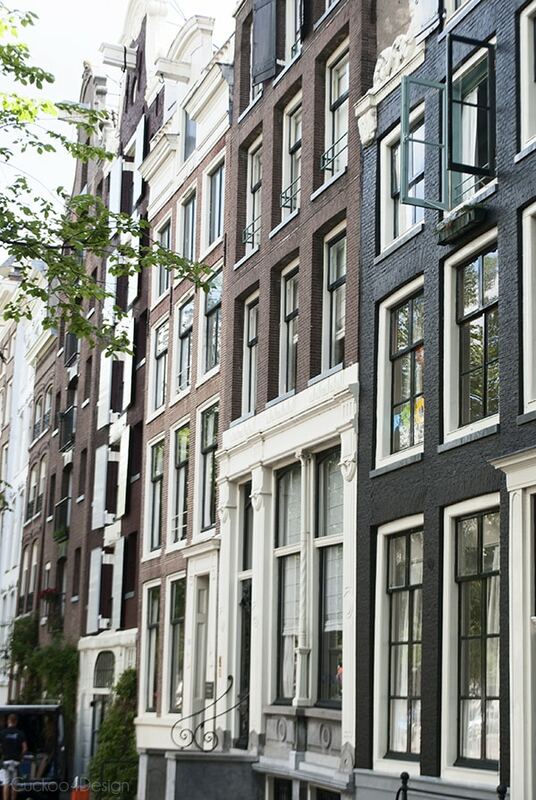 They are, in my opinion better than normal houses in Amsterdsam. A downside to living in a houseboat is you don’t get a lot of privacy but I don’t think the Dutch care. 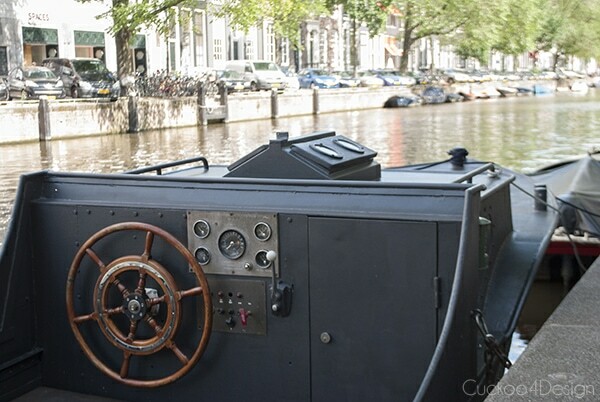 Isn’t it cool to live on a houseboat like you can see below? 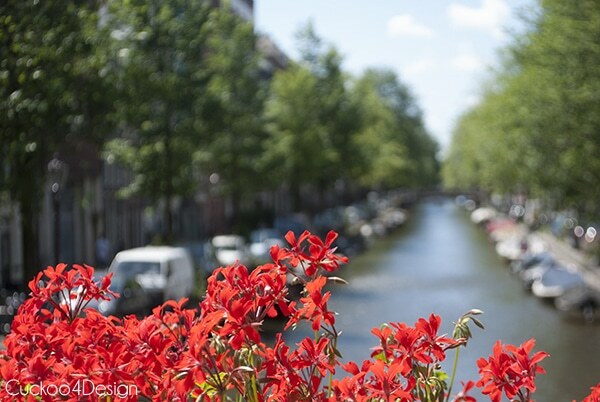 Amsterdam is a very beautiful city with its canals and houses. My dad and I rented a paddle boat and explored the canals with it. Usually my dad and I go visit a lot of museums and sights on our trips but this time we decided to just explore and walk around because we didn’t want to waste our time by standing in line. 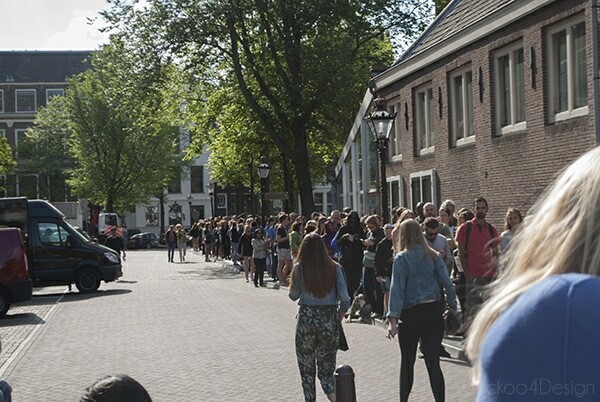 The only place we waited in line to see was the The Anne Frank Huis (house). I really wanted to see it because I read her diary after visiting the Dachau concentration camp with my family two years ago (click HERE if you want to read about our visit). We were there really really early and the line was this incredibly long already. 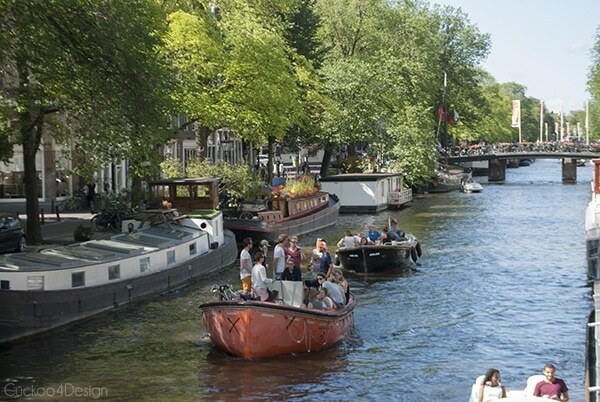 What you should expect of Amsterdam in my opinion if you can visit it one day is to wander through the city and get lost in all the charm of Amsterdam. Oh and I brought my Opa some 4 year old aged Gouda to Germany which is my favorite. I think I ended up eating half of it myself. Sorry Opa! Maybe I will write another blog post this year. I actually never wrote a post about our visit to Paris a couple of years ago. I think I should still do that. But if not, I’ll “see” you next year. Tschüß and I hope you enjoyed my post. What a great post! When I was 8 years old (in the 1970’s), my family was transferred from Houston, Texas to the Netherlands for one year (my dad worked for Shell at that time). It was a great experience and one of the things I remember most was seeing the Anne Frank house in Amsterdam. 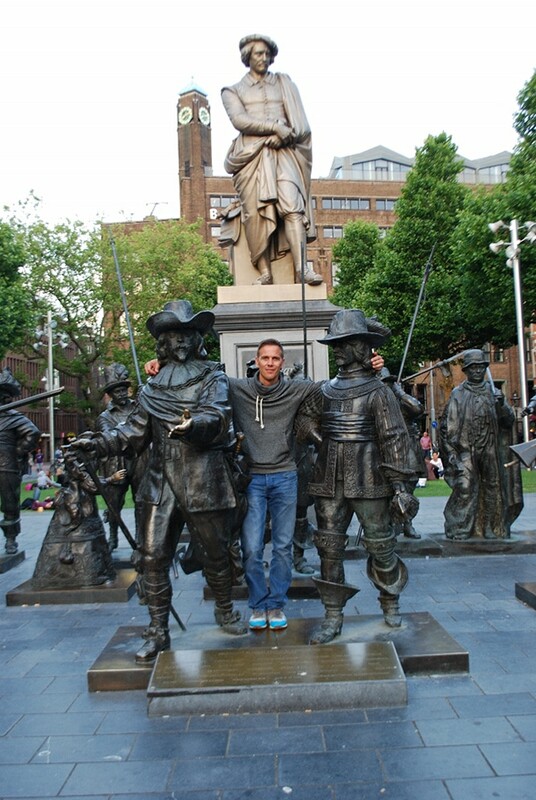 Fast forward to 2011 – for my 40th birthday, my boyfriend took me to Amsterdam for a wonderful visit to my past. The weather was so beautiful that we, too, skipped most of the museums and simply explored the city. 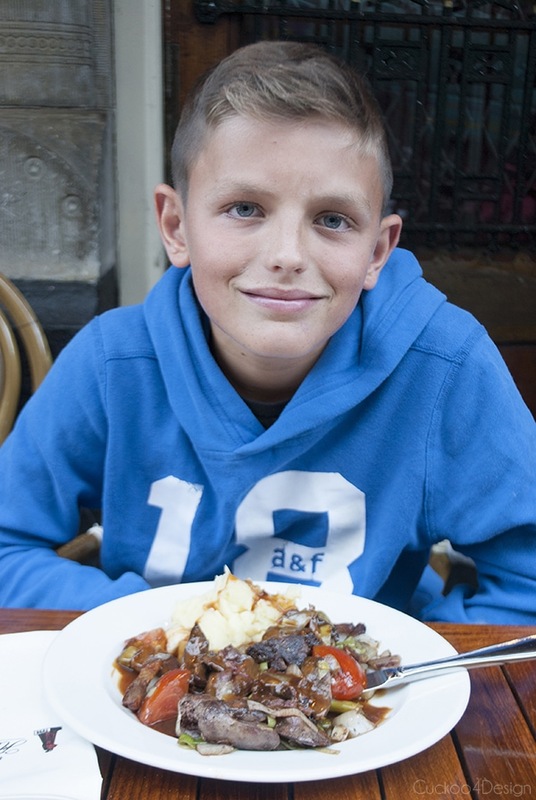 We did go to the Anne Frank house and we had traditional Dutch food at a restaurant called The Pantry. Thanks for sharing your vacation with us. Excellent post!! My ancestors are from Amsterdam, and my brother is currently planning to relocate there. I hope he goes soon, so I can visit him! What a beautiful city, and the food sounds amazing! I share your love of Bob Marley, and still wear a t-shirt with his face on it 🙂 In college, I had a floor-to-ceiling poster of him on my wall! Oh how lucky is your brother. What a great place to live. And I had a huge Bob Marley poster too. Julia he’s fabulous! I have enjoyed every one of his posts and look forward to them . He’s a natural! MC and I loved every detail! You have a budding travel writer there! His writing definitely has a voice and it’s lovely to “meet” a young man with such cosmopolitan tastes at such an early age. Definitely approve of his menu choices! Alles gute! I enjoyed your son’s post very much. He is so lucky to have travelled so much. Thank you so much and I agree, he’s a lucky guy and he knows it. Awww, how sweet, you’ve got a little writer on your hands! What an AMAZING experience for your kids, they are fortunate to be able to travel at such a young age! In my option/experience, travel can be more shaping that a text book (although working hard in school necessary! ); going and experiencing a place for yourself, instead of relying on perceptions (especially a place like Amsterdam) can be one of the most formative experiences. We only had a few short hours in Amsterdam but walking around the city and seeing everyone whizzing around on bikes was really neat! Such an empowering experience to pick where he wants to go and decide what to do while he’s there–too cool! I always told him that if he wants to continue to travel as he grows up, he needs to be good in school to get a good job that pays for the traveling. I hope he’ll strive to do that 😉 We are also fortunate to have a little guy who’s always been interested in history and food. Our daughter is interested too but not as much as he is. Oh my I loved this!!! Your son is precious!!! His writing style is awesome!!! Loved reading it. Thanks so much reading Claire. He loves reading all the comments! What an awesome post!!! I loved the tour and food recommendations, buddy! I think you have the next Anthony Bourdain on your hands, Julia. Hope you’re all having the BEST time! What an impressive young man!! I really enjoyed his writing style!! thanks for taking us along!! He did a great job. I’am Dutch, we are from the south. But love going to amsterdam and just walk around. 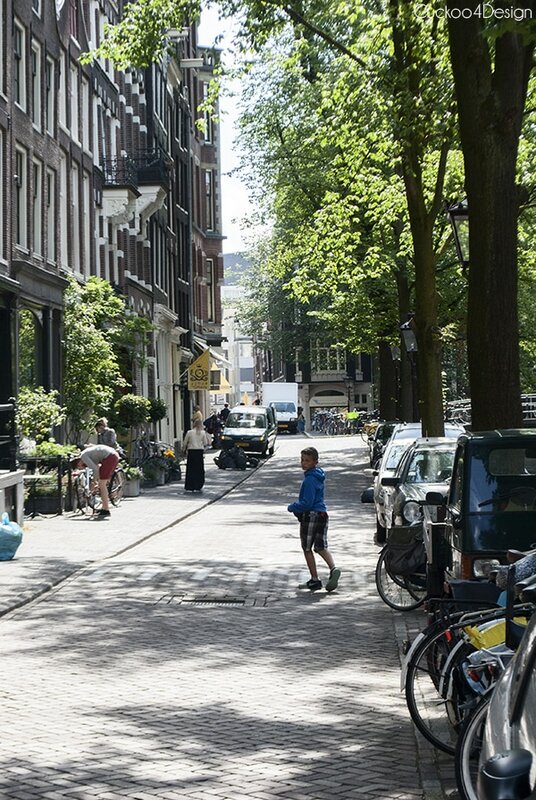 Amsterdam is just a fun town which gets a bad rap. Not all Dutch people use drugs, most off us don’t a lot a tourist do hahhaa. Just got back from the Netherlands and ready to go back. He can always go to college in Germany and travel really cheap around europe. That’s one off the great things off Europe you can go everywhere. Love these posts! And I had no idea about the Dutch and their love of mashed potatoes. I love mashed potatoes, too….I should go there! Okay, your kid ROCKS in my book. 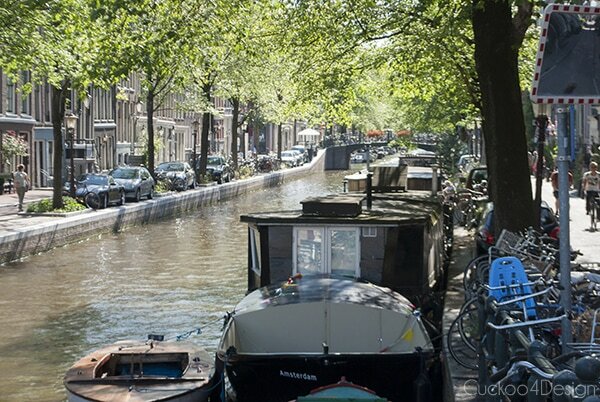 Amsterdam is actually one of my fave cities I’ve EVER, ever been too – hands down – it’s amazing! The people there are some of THE most gracious, by far, of anywhere I’ve visited. It’s heaven. Also, your kid rocks bc he’s wearing that Marley tshirt – Marley is one of the kings of music, and always will be. Well thank you so much for calling it your favorite blog! I’m jealous that you get to live there and so happy that you aren’t lurking anymore and left a comment! It seriously made my day! What a great post! He is such a detailed writer! So great to read from his perspective! I just read this (FINALLY) and I loved it! What a cutie he is! You are one lucky momma! Thanks Summer! I want him to blog more 😉 He is a foody and so passionate about it. He wants to start cooking more too. I love seeing him evolve and that he is just like my dad who is so very much in love with cooking and food. Melts my heart.